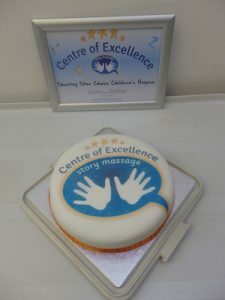 We’ve been so delighted by the amazing feedback from our Story Massage training that we have introduced a programme of Centre of Excellence and Best Practice Awards. These prestigious awards are designed to recognise achievements in Story Massage as an individual or across an organisation. Please apply by June 1st 2019 to be considered as one of our next group of winners. At least four members of staff/volunteers have undertaken our Story Massage Course (at an invidual training day, online or as part of an INSET day). 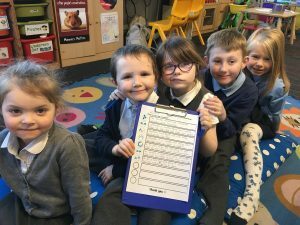 Story Massage has been used for one year or more. Representatives have provided regular feedback on how it is being used with evidence of creating new massage stories. Would you like to apply to be a Centre of Excellence? 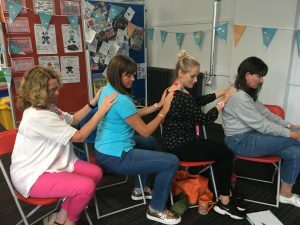 You must have undertaken a Story Massage Course (at an individual training day, on the online course or part of an inset day) and have been using Story Massage for at least six months. You must have provided regular feedback on how and where it is being used with evidence of creating new massage stories. To find out about the varied and inspiration work of our best practice award winners, please go to the Story Massage Best Practice blogs. You could be featuring on our blog next year!